Our system is completely automated and adjusted so you could enjoy every moment of your stay with SolidEssay.com. You are required to fill out an order form first providing paper instructions, register an account if you are a new customer, or sign in if you have already used our services before, and then proceed to payment. Once your payment has been processed, your order gets assigned to a professional writer and he/she commences the work. Once the paper is completed it becomes available for download at your private area. A notification will also be sent by email. Is it reliable to use your custom writing services? At SolidEssay.com we have been providing professional and original custom college essay writing services for over a decade. We have a family of over 8,000 loyal customers who use our writing services on a regular basis. We have 100% customer satisfaction guarantee, which means that customer satisfaction is our top priority. Read some testimonials from our loyal customers. From the commencement of the relationship, providing quality writing services and building trustworthy relationships are at the core of our corporate principles. And, it is for this reason that we offer a money back guarantee. Efficient and effective quality control processes are established at all levels to ensure that all our written papers are of the highest quality, thus satisfying even the most difficult and demanding customers. We are cognizant that our successes are dependent on the satisfaction of our customers so we are extremely devoted and dedicated to meeting their needs and value the confidence placed in our service. What kind of assignments do you write? At SolidEssay.com we are happy to assist you with any of your high school, college, or university assignment. We provide essays, term papers, book reports/book reviews, research papers, movie reviews, case studies, article reviews, statistics projects, lab reports, presentations, proposals, speeches, theses, and dissertations. If you have some specific request, no problem, our writers will fulfill it in a professional way. There are over 180 professional writers (B.A., M.A., M.B.A., Ph.D) working in our staff. All our writers are native speakers living in the United States, Great Britain, Canada, and Australia. They are experienced in different academic fields and possess outstanding writing and research skills. Your paper will be assigned to the most suitable writer taking into account the type and the academic level of your project. How fast can my paper be written? In the order form, you specify the timeframe when you would like your essay or term paper to be delivered. The writers always deliver according to the deadline and the delays rarely happen. How much will it cost to write my paper? We understand that the majority of students have a limited budget therefore, we have developed a flexible price policy so our custom writing services could be afforded by everyone. Besides, we provide discounts to our loyal customers. If you order an essay for the first time you get 20% discount. At SolidEssay.com, you pay a reasonable amount of money for a high-quality work developed by a professional, native speaking writer. The price depends on the type of your assignment, level of writing, and urgency. Are your prices a reflection of the quality of work you produce? Our staff comprises qualified and well-trained writers. Access to our customer service center 24 hours each day, 7 days each week. We guarantee that you will appreciate receiving a well-written and excellent paper on or before the deadline. You will especially find the cost worth it when, upon reviewing your paper, it is not plagiarized and has all the necessary references and citations in the correct format (APA, MLA, Chicago, or Turabian). As part of our satisfaction guarantee promise, we will revise your paper for free if you are not fully satisfied. This is not offered by many companies, but because of our dedication to our customers, we happily offer it. We have had the experience of quoting clients for a job and them opting to go with a cheaper quote from a rival company, only to have that same client revert back to us due to an unsatisfactory experience. As with all our orders, we happily provide our excellent services to ensure the client is satisfied with the end result. When making your decision on which writing service to choose, please consider these two factors. Isn't this the kind of expertise and peace of mind provided by our excellent services something you would happily pay a little extra for? Why take the unnecessary risk and compromise the success of your paper if you don't have to? Yes, we do. There is an accumulative discount policy for returning customers, starting at 5% to 15% off every new order. When you submit your 1st order at SolidEssay.com you get 20% off immediately as a bonus. Afterwards, every other new order you place will count towards the total ordered amount thus increasing the discount level. Read more about our discounts. Will my paper be original, non-plagiarized? Yes, absolutely. Your paper will be 100% original, written from scratch. The writers will carefully research your topic and write it in their own words. If there are some quotes used from other resources, they are properly cited in the paper. Once the order is written we run it through plagiarism software and check for authenticity. We guarantee quality, clean, and plagiarism-free custom writing work. Can I request a revision of my essay? Yes, you can. Our 100% customer satisfaction policy guarantees free unlimited revisions. 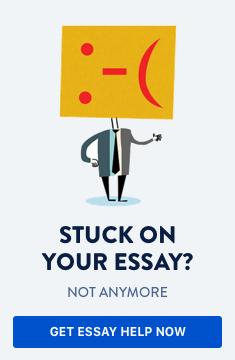 If you review your essay and would like to change something, add more content relevant to the topic, etc., you notify us by e-mail or by submitting a ticket at your private area and the writer fulfills it in a timely manner. Do you charge for an outline, title page, bibliography/works cited? No, we don't. When you submit an order, an outline, title page and bibliography are provided at no extra charge, and do not count towards the total amount of pages. The paper will be written according to one of the academic formats (MLA, APA, AMA, or Turabian) and may include these free features upon your request. What additional information will I have to provide? There are very few situations that require you to provide more information than what is given on the order form completed at the beginning of the process. This form usually takes into account any and all relevant information needed to complete your paper. Any further information requested may be specific information or sources not previously provided that may be difficult to access. If additional information is required, how can I send it to you? We offer two options for providing us with additional information. You can choose from either email or uploading directly to our site, depending on which option is best suited to you. How will I receive my completed paper? All our customers are given access to a personalized dashboard on our website where they can contact our administration, upload and/or download files and review previous and/or current orders. It is through this dashboard that you can access your finished paper. What happens if my paper is delayed and at risk of not being completed on time? While this is highly unlikely, if such a case were to occur, we would provide you with the necessary compensation in form of credit or discount offer towards a future order for any inconvenience caused. Do you resell or publish the papers? No, our papers are neither resold nor published anywhere on the Internet. You will have all ownership rights and may use your essay, research paper, dissertation or any other type of paper to your own purposes. We think it is highly unethical to put reputation of our customers under question. In all other cases it will be necessary to contact our Customer Support. At SolidEssay.com, we accept all major credit cards (Visa, MasterCard, American Express, and Discover) as well as PayPal. If you want to pay by some other means please let us know and we will try to solve it. It often disturbs the flow of the process. This is due to the fact that the writer will have to do the paper in parts. Once the payment is done, the writer can only do the paper up to a point before having to wait for another payment confirmation before completing the rest of the assignment. Bank transfers and money transfers are subject to errors and delays. This, in turn, delays the writing process which would not be interrupted with a one-time full payment. Writers have a difficulty scheduling their time to complete orders when the payment is uncertain or delayed. This, in turn, can affect other pending orders. It creates an air of uncertainty for the company as we are unsure if and when the payment will be made, thus resulting in our inability to properly plan and assign jobs. Also, it sometimes creates a feeling of being in limbo as you are uncertain as to where things lie and how to proceed. We encourage our customers to pay in full as there is no risk in doing so, especially when paying with a credit card because the transaction can be cancelled if deemed necessary. This is more complicated if payment is done in installments. Real-time tracking of your orders. Uploading files and guidelines relevant to your order. Our customer-friendly system allows you to submit queries, suggestions, revisions and any other pertinent information. Will third parties find out of my use of this writing service? Under no circumstance do we provide third parties with information on our clients. We are aware of the complexities of providing personal information over electronic media and take great care to ensure the safety and security of our clients' information at all times. The information you provide and the fact that you have utilized our services are handled with delicacy and kept in the extreme confidence of our capable staff. We value your privacy and your business so your information will never be disclosed to outside parties. We do not exist without our clients so we treat each and every one with respect; we value what they value and therefore, their priorities are our priorities as well. Where is your writing company located? Our custom writing company employs writers based in the United States of America, Canada, the United Kingdom and Australia. We take great and meticulous care in choosing our team of writers as we are aware that we are only as good as the last paper we write. In so doing, we ensure that they are well-trained and qualified to carry out their duties. An important point to note, as evidenced by our papers, is that our writers are native English speakers.